For the most of my life, I did not like mayonnaise. The white, slimy condiment just seemed gross and completely unappetizing. That all changed when I worked at a French restaurant here in Berkeley. That’s when I was introduced to aioli. Aioli is flavored mayonnaise but what makes it truly special is that it is handmade with fresh ingredients. Processed mayo from a jar just doesn’t compare to the real stuff. 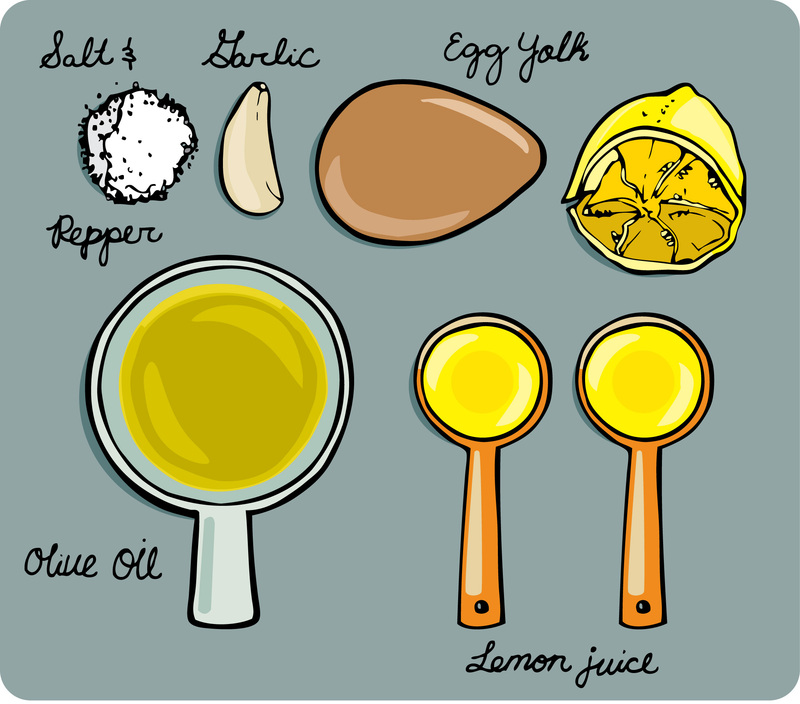 Aioli is delicious on sandwiches, in chicken salad, or as a dip for vegetables. My favorite way to enjoy aioli is as a dip for french fries. This past weekend I went to a cookout for a friend’s birthday and I thought it was a perfect occasion to make homemade fries and garlic aioli. Aioli is quick and easy to make but this was my first attempt at making fries. I found a well-reviewed recipe at allrecipes.com and changed it up to make the fries spicy. These fries are battered like fried chicken and they turn out tender on the inside and nice and crispy on the outside. The batter adds a lot of flavor; I didn’t even salt them after they were cooked. The garlic aioli was the perfect complement, adding another layer of flavor and texture. The fries were quickly eaten up, and were devoured within 10 minutes of getting to the party! Chop the garlic as fine as possible and crush the chopped garlic with the blade of the knife. Set aside. Whisk the egg yolk until smooth. Slowly begin adding the oil to the yolk, whisking continuously. Begin by adding a few drops and incorporate the oil into the yolk. You must add the oil a little at a time and combine thoroughly or the oil will separate out of the aioli. Once all of the oil is combined it will be thick and yellow. At this point slowly add the lemon juice. Stir in the garlic and season with salt and pepper. 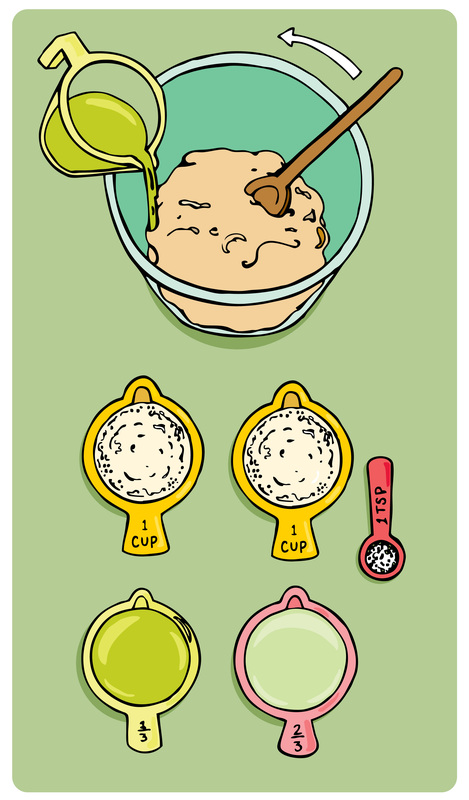 This recipe makes about 2/3 cup of aioli. It will keep in the refrigerator for 3-4 days. 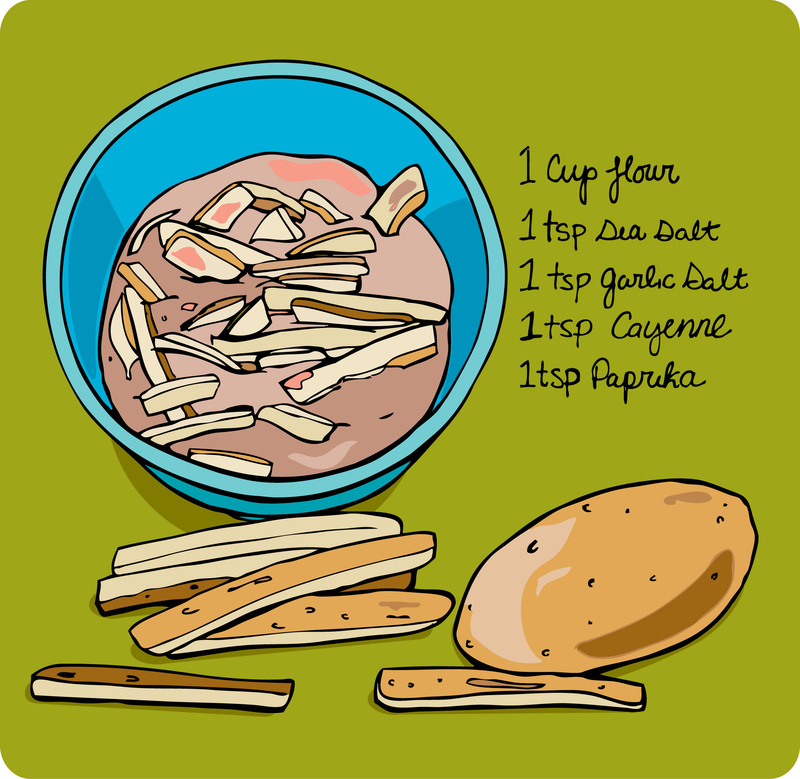 Cut the potatoes into french fry sized slices. 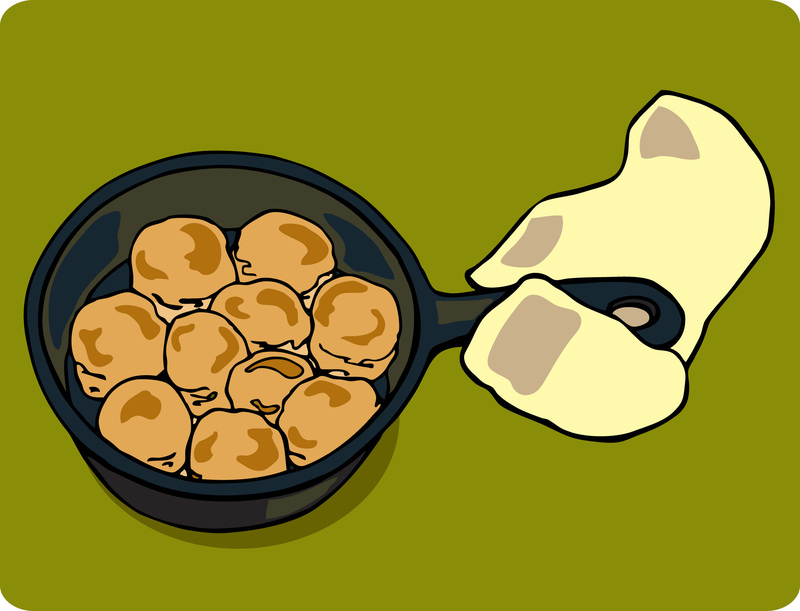 Place them in cold water while you prepare the oil and batter. Combine the flour, salt, garlic salt, paprika, and cayenne pepper. 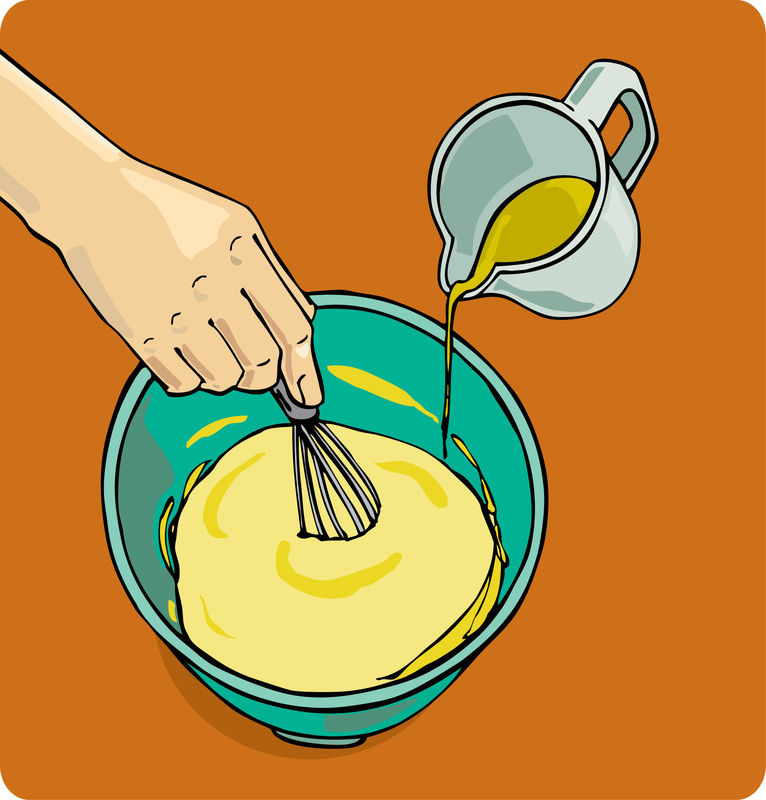 Add enough warm water that the batter can be drizzled from a spoon. 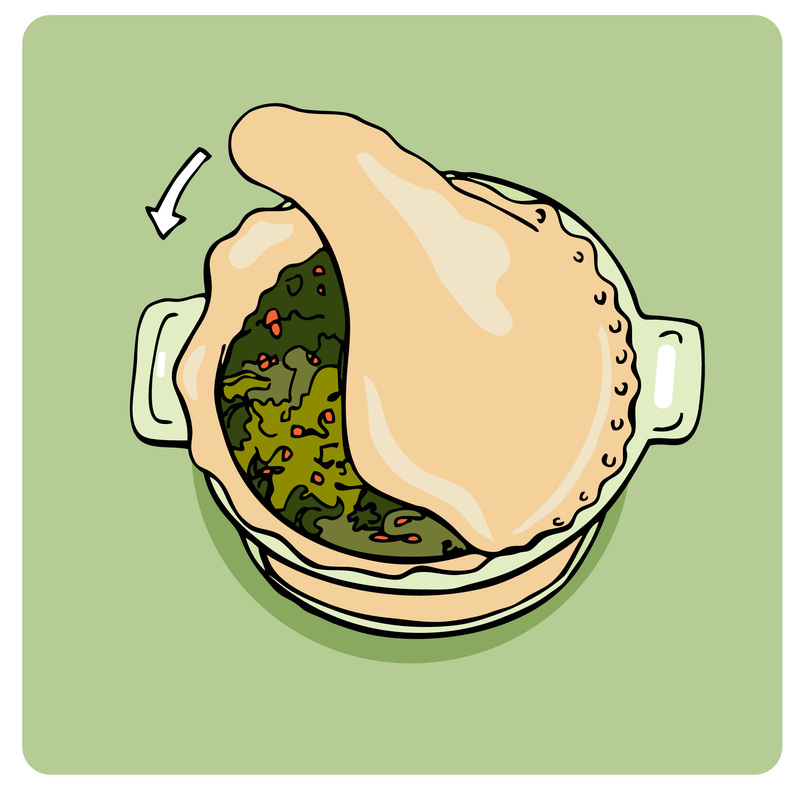 In a large skillet, pour in about 1/2 inch of vegetable oil and turn stove to medium heat. Once the oil is heated, dip the fries in the batter and place one at a time into the oil. Make sure they aren’t touching or they’ll stick together. After about four minutes, flip the fries over. Fry until they are golden and crispy. I lined a ceramic baking dish with paper towels and layered the fries and paper towels as they came out of the skillet. This kept them nice and hot while the rest of the fries were cooking and it absorbed all the excess oil. 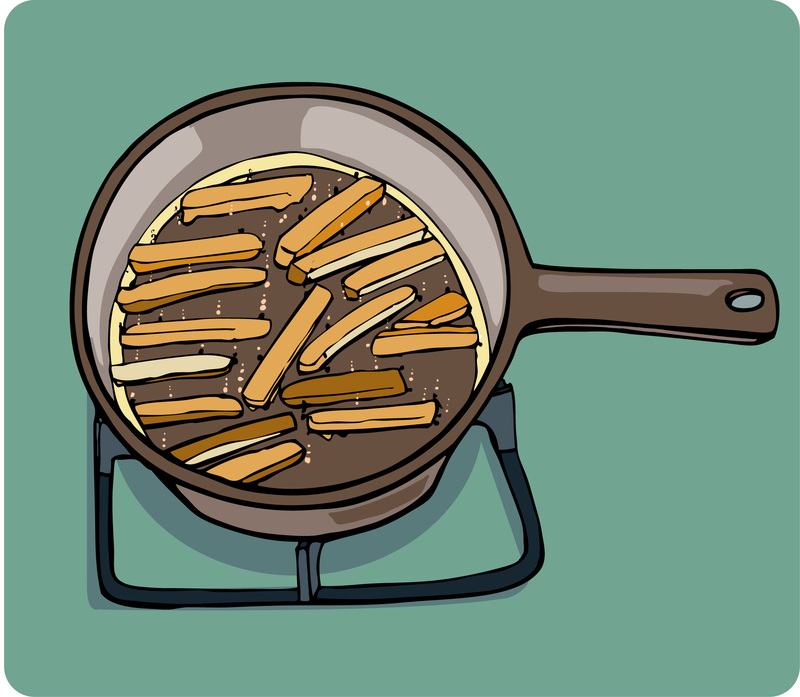 Since you can only fit about 10-15 fries in the skillet at a time this turned out to be pretty handy. I also had two skillets of oil frying, to speed up the process. I recommend using cast iron skillets. They heat the oil evenly plus all the oil seasons the pans nicely. These battered fries and aioli is truly a tasty treat. Go ahead and enjoy them with a cold beer and you have a perfect cookout snack. This weekend I took a short but sweet trip home to North Carolina for my sister’s college graduation. Flying back and forth from San Francisco, CA to Raleigh, NC is a lot of traveling for a weekend trip but I had not been home since Christmas, so it was worth it. It’s hard when your two favorite places are on opposite sides of the country! It was a wonderful visit, packed with family time, hanging out with friends, and eating lots of Southern food. In honor of my recent visit home, I’m going to share a recipe for a quintessential Southern food; buttermilk biscuits! Step One: Combine the flour, baking powder, and salt in a large mixing bowl. Step Two: Cut the chilled butter into small pieces and rub it into the flour. 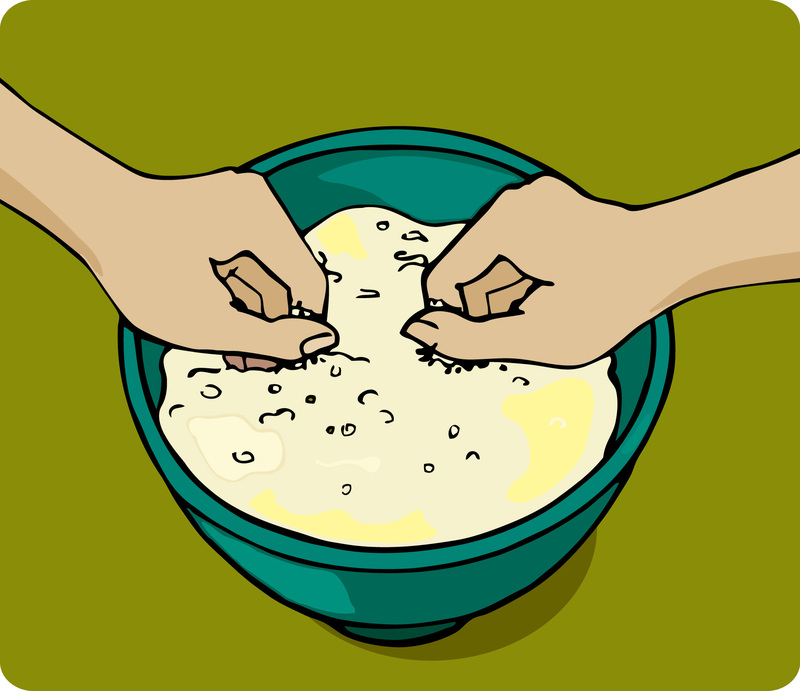 Use your fingers to rub in the butter until the flour resembles coarse cornmeal. Step Three: Add the buttermilk to the mixture and stir until moistened. Knead the dough a few times until combined. Don’t over handle the dough. The quicker you combine everything, the fluffier the biscuits will be. Step Four: Turn the dough onto a floured surface and pat down to an inch thick circle. Step Five: Use a floured circle cutter (I used a drinking glass) to cut out your biscuits. Place the biscuits together in a cast iron skillet or baking sheet, so that the sides are touching. 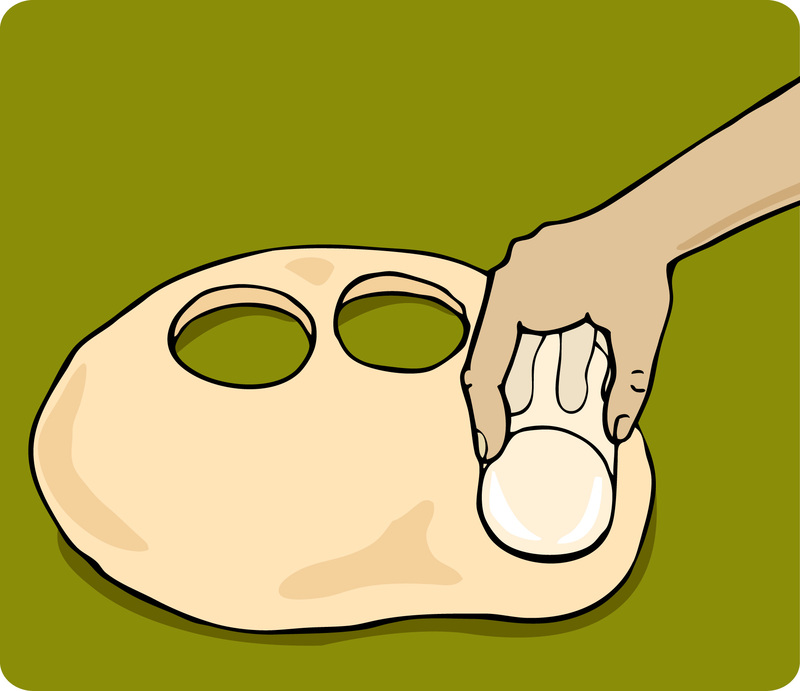 Take the scraps of dough and use your hands to form into another biscuit. Don’t re-roll the dough. Step Six: Bake the biscuits for 12 minutes or until the tops are golden brown. Buttermilk biscuits are delicious with a little honey or molasses. Another amazing way to eat a biscuit is to split it in half and make a breakfast sandwich with bacon, egg, and cheese. 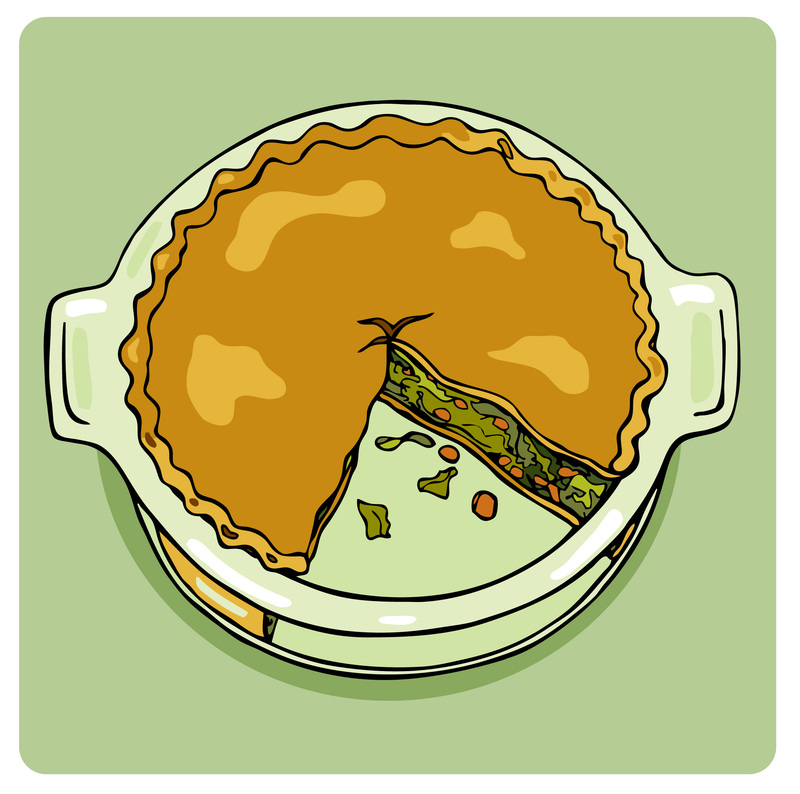 No matter how you eat it, it’s sure to satisfy. Enjoy! I found this cute orange teapot at a flea market near my house. 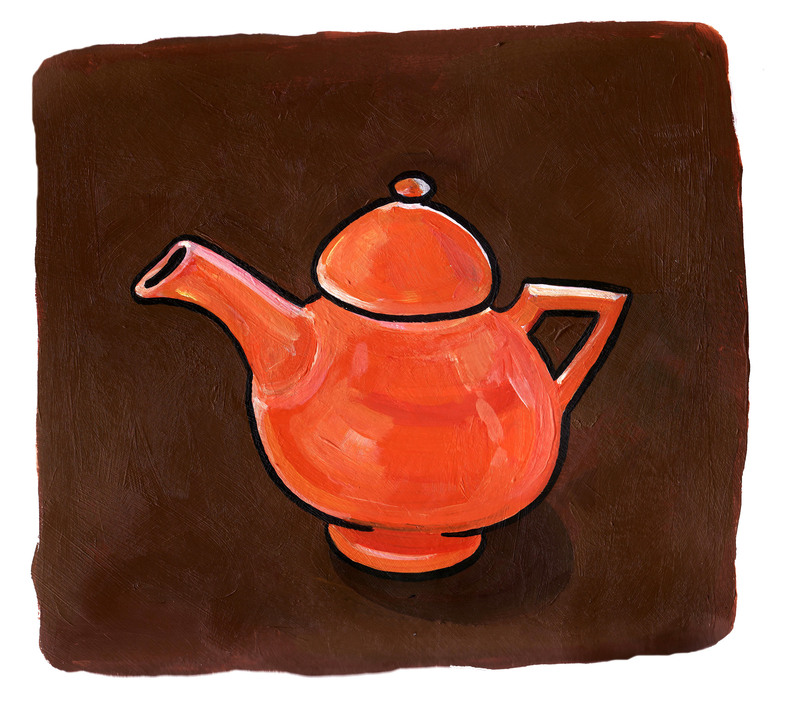 I’m experimenting with doing some illustrations in acrylic paint and this lovely little teapot seemed like the perfect subject. I’m planning on opening an Etsy shop soon and this painting along with others will be available for sale. Also, look for screen printed goods and posters! My plan is to have the shop up and running by mid-summer. I’m looking forward to sharing more with you in the coming months!